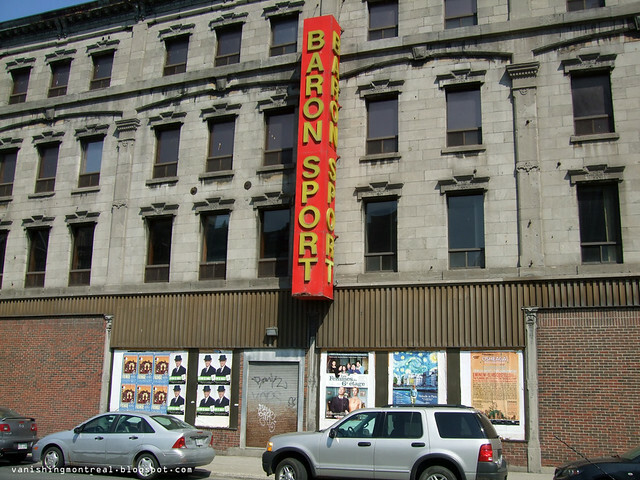 The "Baron Sport" building just on the edge of Griffintown on Notre Dame Ouest. 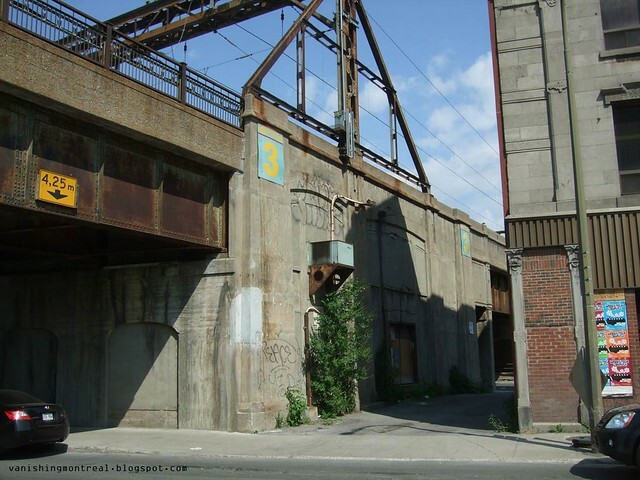 The building is abandoned. What will happened to it? 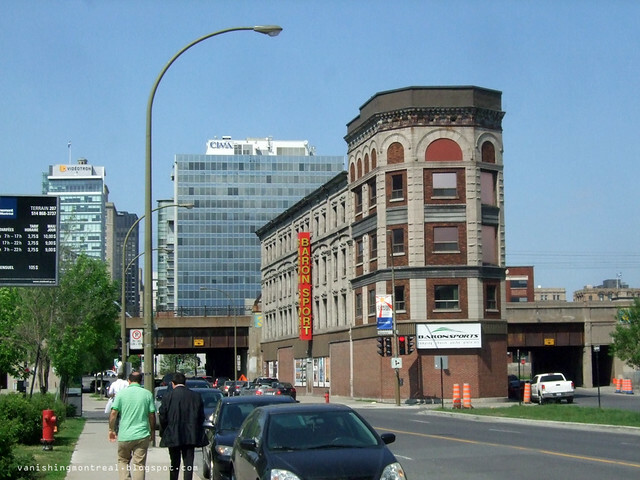 I heard that they were planning to cut the building in two, by just keeping the front facade. 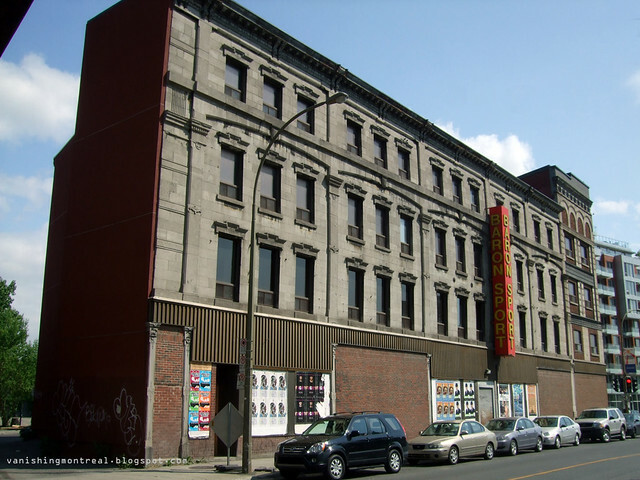 I don't know if it's going to happened but with all the activity going on in Griffintown, this building shouldn't remain empty for too long. The rear of the building. I love this photo! If it weren't for the two new cars, the meter sign and the plastered ads, it would be a perfect timeless snapshot. This is how it looked like several decades ago. 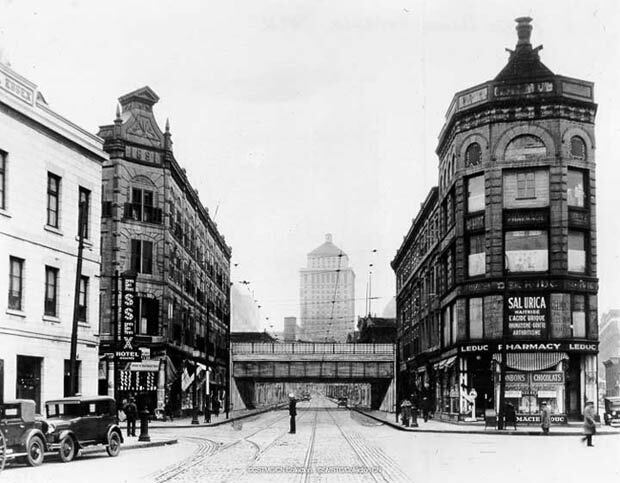 Notice the two buildings on the left.